To be added to the wait list please e-mail: admin@hopemohr.org. You will be notified if a ticket becomes available. 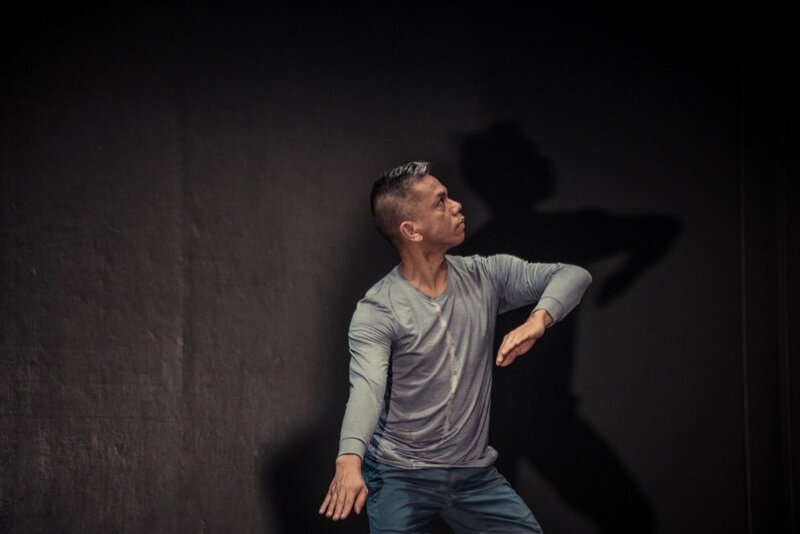 Join 2018 Community Engagement Residency lead artist Gerald Casel, artist co-interrogators Zulfikar Ali Bhutto, Sammay Dizon, David Herrera, Yayoi Kambara and Raissa Simpson and special guest Thomas F. DeFrantz for the third Dancing Around Race Public Gathering. This event is free and open to the public. Come engage with the artists and guest speakers in a moderated dialogue about equity in the arts. Bring a food item to share or just yourself. The Dancing Around Race Public Gathering will run in the spirit of long table discussion​, with attendees​ invited to take part in a freeform conversation. As part of this authentic exchange, participants will have an equal opportunity to both share and listen to each others experiences, ideas and questions with regards to how race operates in the dance world. Guests are invited to bring a snack or food item to share. The Dancing Around Race artist cohort recommends the following texts to get you thinking about some of themes and issues that will be discussed at the public gatherings. The 2018 Community Engagement Residency (CER) Dancing Around Race is proudly presented by Hope Mohr Dance's Bridge Project, HMD’s signature curatorial platform that approaches curating as a form of community organizing. Funding for this program comes from the Center for Cultural Innovation's "Investing in Tomorrow" grant, California Arts Council, San Francisco Arts Commission and generous individual donors.